In this research, we tackle a critical yet less explored factor that affects entrepreneurs’ effectuation logic, the original aspiration, which refers to the entrepreneur’s initial and most dominant aspiration in the venture-creation process. Based on a qualitative and process research on abundant entrepreneurs’ decision events from eight start-ups over a three-year time span, we discover the nature of original aspiration and its significant role on entrepreneurial decision-making over the entrepreneurial process. 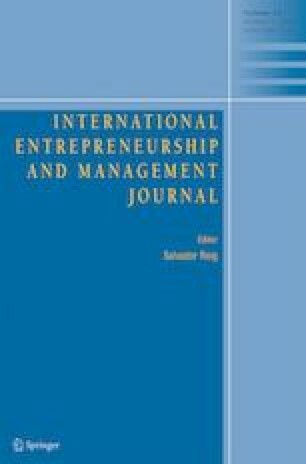 Subsequently, we identify three categories of original aspirations, social-centric, commercial-centric, and autonomy-centric, and offer evidence that those social-centric entrepreneurs have a high tendency to engage with effectuation logic, while commercial-centric entrepreneurs tend to use more causal logic. These findings extend effectuation theory by advancing one of its most fundamental suppositions and showing how original aspirations shape the thinking behind the critical decisions along the entrepreneurial journey. Overall, our research endeavor highlights that a deeper understanding of the heterogeneity of entrepreneurs broadens the knowledge of entrepreneurship research.